Are you beginning to embark on the search for the best Katy TX Karate Dojos in your area and you don’t know where to start? Perhaps you’ve been looking for the best martial arts lessons in town, but you’re not sure where to go. If this sounds like you, Tiger-Rock Martial Arts is the place for you. Read more to find out detailed information on the many types of classes and courses we can offer you. Our dojo is a very unique place. 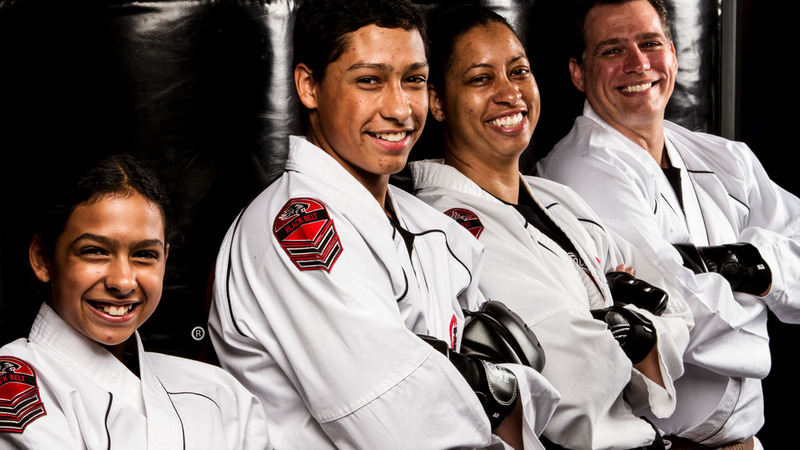 We have a group of certified instructors who understand what it takes to master martial arts. We teach our students a traditional form of Korean Taekwondo. If you’re trying to make sure you get the most out of whatever karate classes you enroll in, we can help. Our team wants you to be able to enjoy the many courses, classes, and programs we have to offer you. If you’re beginning to worry about your lack of experience with karate, we’ll be able to help you. Striking and kicking are one of the many aspects of the services we provide students. While you may feel like these punches and kicks don’t involve any rhyme or reason, this is something that will help in many ways. Cardiovascular health is something that cannot be understated, and our professionals know how much it can help your physical fitness. You will most definitely see an improvement in your upper and lower body strength. Speed and agility are two other benefits of committing yourself to a martial arts programs. Are you dealing with some issues that affect your balance and coordination? Maybe you’re trying to be a much more responsive person, and you also want to be agiler. If so, becoming a martial artist is a great idea. Mastering Karate, Taekwondo, or any other form of combat will require dedication. Putting yourself through a rigorous program and sticking with it will most definitely help you experience a much higher form of physical fitness. The last thing we want to do is promote violence in Katy TX Karate Dojos. We want you to know that our classes are not purposed for that. Tiger-Rock is a place for you to gain and sharpen your life skills. Self-discipline, confidence, and physical fitness are only a few of the benefits of committing to our programs. While self-defense is definitely a part of this, the mental aspect cannot be overstated or denied. The Tiger-Rock name has been around since 1983. This dojo was first founded by then, and since, it has become the biggest martial arts franchise in the nation. Each and every location we have is headed by a team of certified instructors who have mastered the traditional form of Korean Taekwondo. You probably want to make sure you go to a renowned dojo that has a proven track record of helping students succeed. If you want a team of experts who can help you reach your goals, we’re here to work. Studying martial arts and mastering this art can really help you add a new dimension to your lifestyle. You may be sick and tired of going through your everyday routine without any type of variance. If this sounds like you, count on our team of instructors to help you experience something new. Involving yourself in a dojo and integrating into one of our many programs can really add a new type of spice to your life. We’ll help you transform your mind, body, and soul with gradual sessions that help you get better each week. In addition to adult classes, we also have courses that are geared towards children. 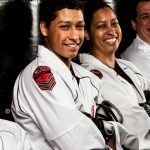 We understand that kids need to be introduced to martial arts, and we want to help your kids get better. Are you dealing with discipline and bullying issues with your children, and you don’t know how to handle it? If punishments and detention haven’t done anything, karate could be the solution. This is a physical activity that will not only push them, but it will also give them an enhanced mental state. Self-defense is something that we take very seriously. Do you worry that you will be susceptible to attacks and assaults? Perhaps you walk home late at night, and you’re not very confident in the area you live in. If you’d like to prepare yourself for real-life scenarios involving combat, count on our instructors can help. We can teach you the defense mechanisms you’ll need to properly defend you and your loved ones. Whether the assailant is armed or unarmed, you’ll be able to count on our experts to teach you the skills you need. Tiger-Rock Is Ready to Train You Today! There is a variety of Katy TX Karate Dojos for you to choose from, and a lot of them promote and promise the same things. You may feel like you’re beginning to become overwhelmed, but our professionals can help you find the best program for you. For more information on how we can help your physical and mental transformation, call Tiger-Rock today. Our certified instructors can give you detailed information on the many courses we offer. Ask about our introductory course package and performance evaluations. We’re eager to get in touch with you and your family. The Galveston Hurricane hurt our city almost thirty years ago. As a result, we take great pride in our current buildings and hope they last a long time. The BP Oil headquarters is a great place, and we hope the company stays in the Energy Corridor for the long haul. Are you someone who really enjoys affordable real estate? If so, we think you’ll have a great time in Katy. 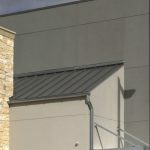 Neighborhoods such as Cinco Ranch give our residents opportunities for discount luxury. If you’d like to make sure you find a great house for a decent price, we think Katy might be your next home. Before we found our permanent name, did you know that people referred to our town as Cane Island?